improved user interface for mobile devises and much more! Over the coming months AllFaith.com will be recieving a major makeover. through studies, live broadcasts, cartoons, videos, and more. For now I am focussing my time on LearnEmunah.com. AllFaith.com will remain up as an archival library. Eventually I have other plans for this site. Despite what many people assume, Judaism is a very diverse system of tradition, ethics, legal rulings, religion, philosophy, culture and more. We do not so much focus on what one believes as on what one does with what one believes. The emphasis is more on being an objective blessing to the world than on embracing an established philosophical construct of pre-defined beliefs and creeds (although they also exist!). Despite this wonderful diversity, HaShem is One and Judaism best reflects this oneness when it too is One. Judaism encompasses a broad spectrum of Divine Light. Jewish history and experience teach us well that balance and discernment are required if we are to continue into the future and eventually welcome HaMashiach (the Messiah), may he come soon! We need to be strong, united, and flexible to achieve this goal. 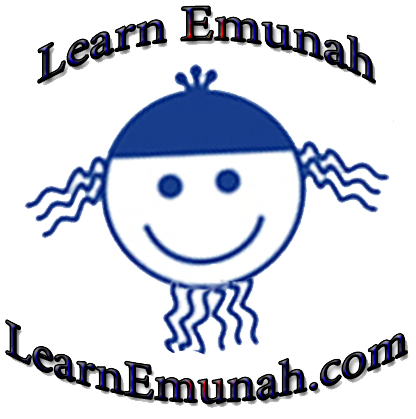 May HaShem grant Israel religious and political leadership of deep emuna, wisdom, and compassion. Lying on his death bed, Reb Zusya was very upset and crying, tears streaming down his face. His students asked with great concern, "Reb Zusya, why are you upset? Why are you crying? Are you afraid that when you die you will be asked why you were not more like Moshe?" Reb Zusya replied, "I am not afraid that the Holy One will ask me "Zusya, why were you not more like Moshe?" Rather, I fear that the Holy One will say, "Zusya, why were you not more like Zusya?" The essence of Judaism is to conduct oneself in pure innocence and simplicity, with no sophistication whatever. Make sure that whatever you do, God is there. Don't heed your own honor. If it enhances God's glory, do it. If not, then don't. This way, you can be certain you will never stumble. Be careful to act with true innocence and simplicity but not foolishly. Sophistication, however, is quite unnecessary. Simplicity, innocence and faith can bring you to the highest level of joy (Likutey Moharan II, 12). Either one is Jewish or one is not (this is determined in traditional ways: either ones mother is Jewish or one halachically converts through a recognized beit din). Some Jews like labels and defined categories while others do not. Some want the security of strictly defined rules while others prefer to explore the limits of personal expression, spirituality, and self discovery. Like most Jews I reside somewhere in between these extremes. Within this great diversity exists an ancient extended family and civilization: Israel. Someone once asked Rebbe Nachman of Breslov: "When I am praying and I mention HaShem's Holy Name, what profound thoughts, what deep intentions, should I have in mind?" The Rebbe replied: "Isn't the simple meaning -- God -- enough for you? (Tzaddik 414). I sincerely hope you will (continue to) enjoy your time here at AllFaith.com. I invite your questions, comments and corrections on the website and anything else that may be of interest to you.